Several months later, five men were indicted. Charges were dismissed against two of them, two of them pleaded guilty and got community service, but Mayer Herskovic’s case went to trial in 2017. The prosecution’s case fell apart when several eyewitnesses recanted their testimony, but the judge convicted Herskovic because his blood was found on Patterson’s shoe, placing him at the crime. But the appeals court threw out the DNA evidence, and the conviction. “The OCME criminologist testifying at the trial admitted that in developing high-sensitivity testing, OCME ‘tweaked the protocols’ of DNA testing. Based on the high-sensitivity testing, OCME found that the mixture was indicative of a two-person mixture,” the appeals judges wrote. The prosecution is not going to further appeal the decision. 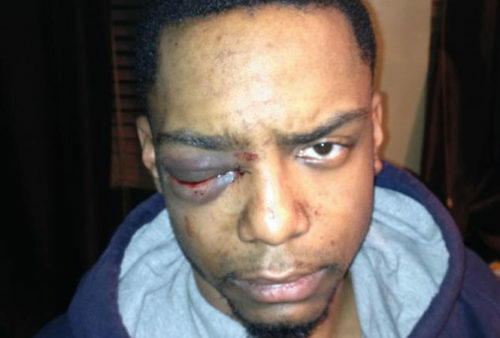 Patterson filed a lawsuit against the NYPD and the city of New York for allegedly giving his attackers preferential treatment. It’s still working through the courts. But no one will spend any time in prison for this horrific crime.